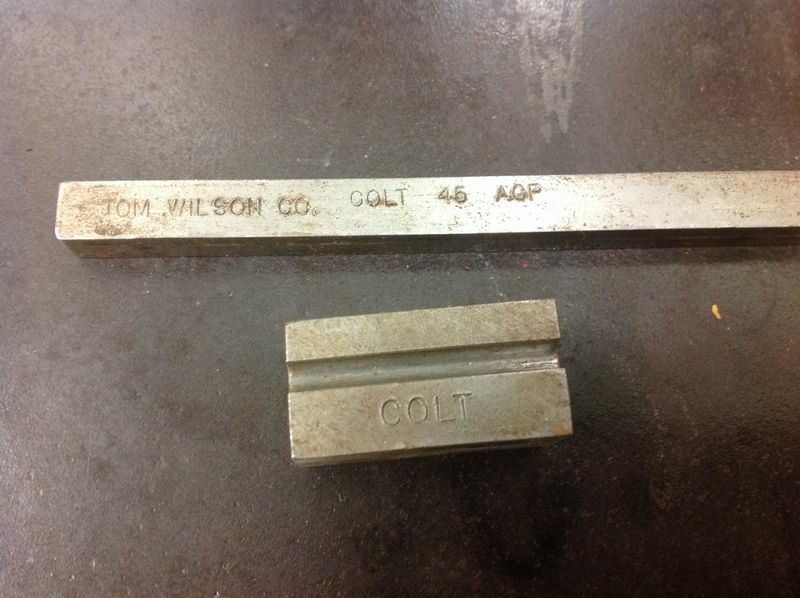 [ARCHIVED THREAD] - I bought these gunsmith tools, did I do good? I was at a motorcycle swap meet and made an insane impulse buy. I was talking to the guy next to me, he was a retired gunners mate. He had this box of tools he wanted to sell so I bought them for $40. If you could tell me what I have I'd appreciate it. He said the tools are for military weapons, many of which I have. So, what are these tools and are they worth the $40 I paid? Starting with the bottom orange tray, tools on the left are ar-15 sight adjuster tools, while most of the rest of the tool in that are for fitting a 1911 barrel. The two tools on the white paper for staking, with the one on the right for a Rem 1100. The big tool to the right of that is for the forearm nut on 870's/1100, while the thing that looks like a pipe cutter is for stretching pistol yokes. In the orange box above that, inner reamer for after you stretch a yoke, spanner tool and punch, then a handle. Over on the right hand side orange tray, mostly punches and picks, but there is a yoke/crank check tool, and even a chamfer tool. Note the two very right metal block pieces should have a U in the end of them and for fitting a 1911 barrel as well. If you to lay them out all side by side, I can tell you what tools belong together, and a better idea of what they are for. Well worth what you paid. In the center of the bottom tray the black handle tool that goes "S" shaped at the end is for removing and installing rebound springs in smith and wesson revolvers. on the white paper the tool on the left is for staking 1911 front sights. Thought a "Well" was something you drilled for water and oil??? Give ya $60 for all of it.....JK, you did great on the price and the tools look to be in good to great condition. 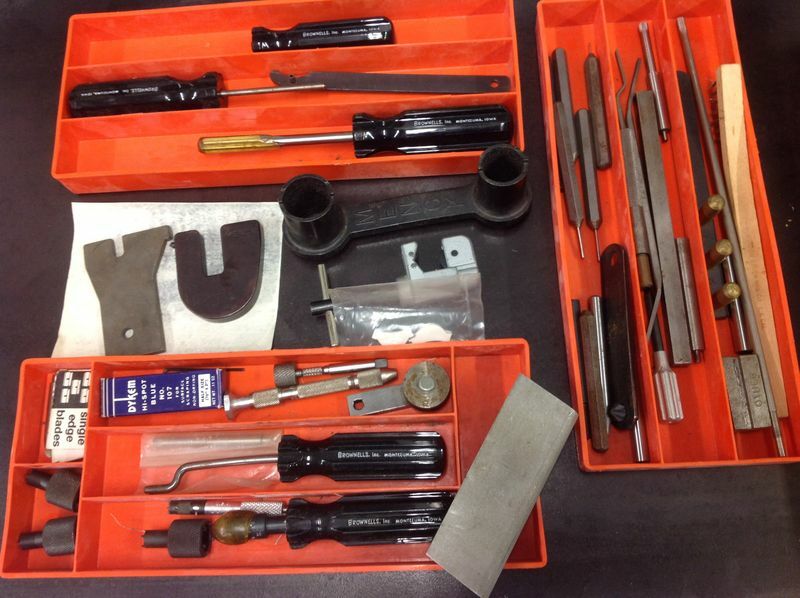 Check out Brownells gunsmith tool section. You will most likely see most of them there. I might take you up on that. . I have some close up pictures but photo bucket is acting up. I'll try later.